Federal Fusion 308 Winchester Ammo 180 Grain Spitzer Boat Tail for sale online at cheap discount prices with free shipping available on bulk 308 Winchester ammunition only at our online store TargetSportsUSA.com. Target Sports USA carries the entire line of Federal Fusion ammunition for sale online with free shipping on bulk ammo including this Federal Fusion 308 Winchester Ammo 180 Grain Spitzer Boat Tail. Federal Fusion 308 Winchester Ammo 180 Grain Spitzer Boat Tail ammo review offers the following information; For nearly a century Federal Ammunition has put its focus on manufacturing quality products with cutting edge technology. This dedication to excellence has given Federal a competitive edge as an ammunition technology giant. Today the company is well known for producing high grade centerfire, rimfire, and shotshell ammunition that shooters everywhere know and trust. 308 Winchester by Federal Fusion features a 180 Grain Spitzer Boat Tail bullet. This ammo is non corrosive and has brass cases and boxer primers, and is reloadable for those high volume shooters who love to reload their 308 Winchester ammo. This specialized bullet is electrochemically bonded to prevent separation of the core and jacket, making it perfect for hunting deer size game without worry of unreliable ammo. Federal designed this bullet with a dimple in the nose to increase accuracy and damage upon impact. Fusion 308 Winchester ammo has a muzzle velocity of 2700 feet per second and a muzzle energy of 2670 ft lbs. This velocity along with the tip-skiving process each bullet goes through makes for a high quality round that will get the job done. This 308 Winchester ammo is packaged in boxes of 20 rounds and cases of 200 rounds. 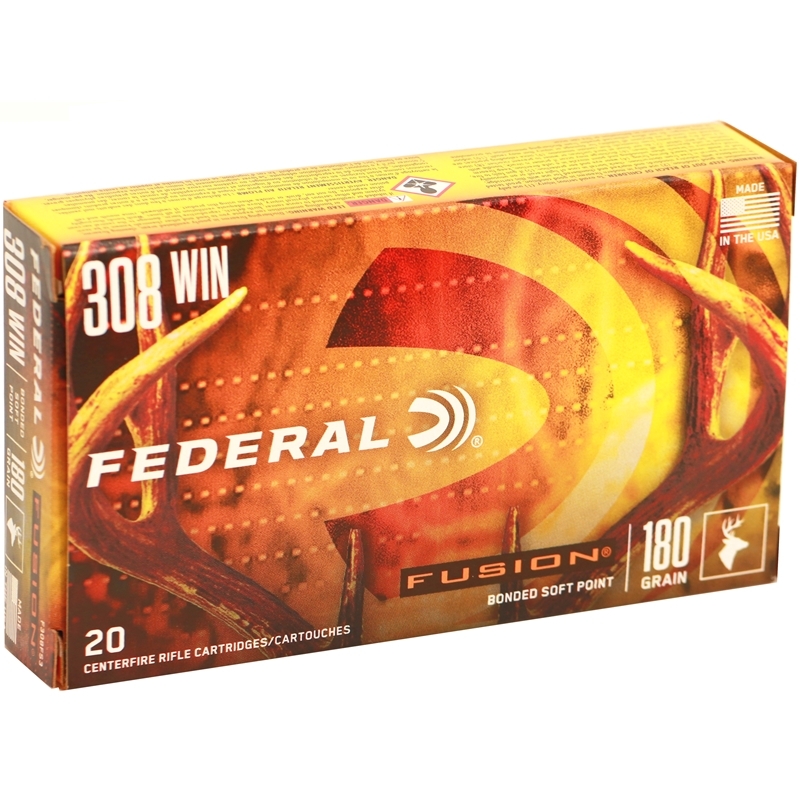 Free shipping is available on bulk orders of this Federal Fusion 308 Winchester ammunition. 308 Winchester by Federal Fusion features a 180 Grain Spitzer Boat Tail bullet. 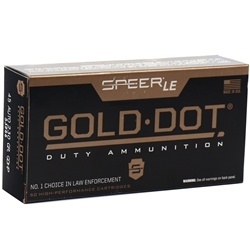 This ammo is non corrosive and has brass cases and boxer primers, and is reloadable for those high volume shooters who love to reload their 308 Winchester ammo. Federal designed this bullet with a dimple in the nose to increase accuracy and damage upon impact.